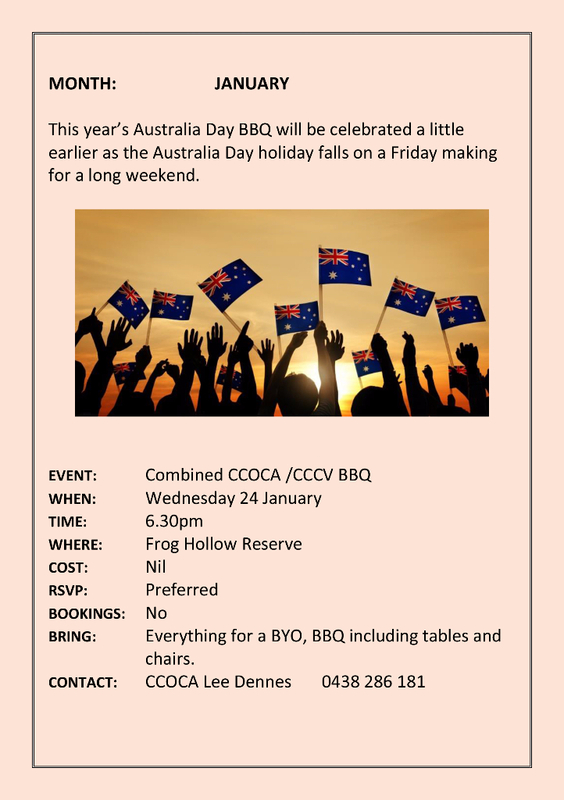 This year’s Australia Day BBQ will be celebrated a little earlier as the Australia Day holiday falls on a Friday making for a long weekend. No cost and bring everything for a BYO BBQ including tables and chairs. No booking but RSVP preferred. Citroën Car Club of Victoria Inc.